Check-In: 4 p.m. | Check-Out: 11 a.m.
Pet Policy: No pets allowed except for Service/Support Animals. Hotel Guest Destination Fee: A destination fee of $15 per night (plus tax) will be charged. Please see our amenity list for details. Child Policy: Children 17 and under stay free with one paying adult/guardian. Deposit Policy: A credit card is required at the time of booking to guarantee the room. Cancellation Policy: Cancellations must be made by 4 p.m. PST 24 hours prior to arrival in order to avoid a one night cancellation fee, plus tax. Package Shipping and Receiving Policy: $3.00 per piece for packages over one ounce. Estimated Taxes & Fees: Guest room rates are subject to prevailing taxes and fees, currently 14.495% per room per night, and a TMD (Tourism Marketing District) fee, currently $5.00 per room, per night. These taxes and fees are subject to change without notice. No Smoking Policy & Fees: Ocean View Hotel is 100% non-smoking. A $300 cleaning fee will be billed to your account if smoking occurs in/outside your room or on the balcony. This includes e-cigarettes and vape pens. Luggage Storage: Luggage storage is available through the Front Desk at no additional charge for currently registered guests of the hotel. Tax Exempt Guests: All Tax Exempt Guests must bring an Individual Tax Exempt form from their organization and present it upon checking in. Additional Person Fee: $20.00 per adult, over two adults. Maximum of 4 adults, per room. Parking Costs: Overnight Valet parking is currently $40.00 per car, per night, plus tax and is subject to change without notice. Special Requests: Any special requests, including room type, cannot be guaranteed and will be honored based on availability at check-in. Online Reservation Procedures: By clicking submit to confirm reservation, guest agrees to the rate and room policies of this reservation. Gift Certificates & Prepaid Bookings: Gift Certificates are available. Prepaid bookings require a Credit Card Authorization Form to be completed and faxed to the hotel at least 24 hours prior to the guest’s arrival. Credit Card Authorization Form. Lost & Found: We will make every attempt to return lost property. Please call the hotel directly to report a lost item at +1 (310) 656-4544. Personally identifiable information will not be collected when you browse this website and/or request pages from our servers, except as described in this Policy. We will not know your name, your email address, or any other personally identifiable information just because you browse the website unless you access the website from a link in an email that we have provided. If you access the website from an email link from us, we will know who you are based on the information you previously provided to us. When you request a page from our website, our servers log certain information, including the IP address number of the computer you are using, the time of the request, the URL of your request and other information that is provided in the “HTTP” header found at the top of your Internet browser. We collect this information to make our website function correctly and provide you the functionality that you see on this website. We also use this information to better understand how visitors use our website and how we can improve it, its contents, and functionality to meet your needs. We do not offer or provide products and services to children. If you are under 18, you may not use our site. We do not intend to collect personally identifiable information from users under 13. We will ask you to voluntarily supply us with personal information (such as your full name, email address, mailing address, telephone number or credit card number) to provide you with specific services you request. These may include making a reservation for you, signing you up for email alerts, replying to you if you submit information on the “contact us” page, and responding to your emails. For example, we will use your email address to send a confirmation and, if necessary, we may use other information to contact you in processing your reservation. We may also use your email address to notify you about special offers and promotions, but we will give you an opportunity to opt-out at any time. If you voluntarily provide personal information to Ocean View Hotel, it will be stored using commercially reasonable security measures. When you provide your credit card data, it is transferred over a Secured Sockets Layer (SSL) line, provided you are using an SSL enabled browser such as Microsoft Internet Explorer or FireFox. Please note, however, that no data security measures can provide guaranteed protection against hackers and identity thieves. We urge you to think carefully before transmitting any sensitive information over the Internet, and conduct business only with entities that you trust. Information collected on this website is processed and stored in the United States. We may share non-personal aggregate, or summary, information with partners or other third parties, but we do not sell or share any personally identifiable information, except as described above. 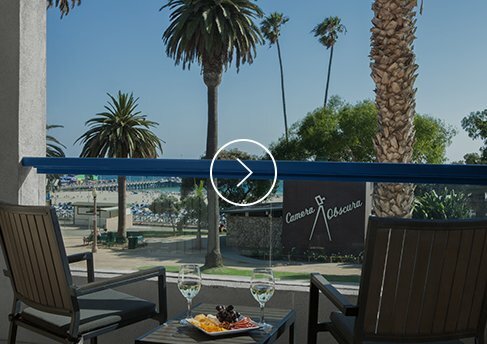 Ocean View Hotel and its third-party service providers use pixel tags. Pixel tags are not used to collect any personal information about you, but we may glean such information from what you voluntarily submitted to us online or offline. Ocean View Hotel and our email service provider use pixel tags to: 1) track customer responses to Ocean View Hotel advertisements and website content; 2) determine your ability to receive HTML-based email messages; 3) know how many users open an email and allow our service provider to compile aggregated statistics about an email campaign for us; and 4) allow us to better target interactive advertising, enhance customer support and site usability, and provide offers and promotions that we believe would be of interest to you. It is our intention to only send you email communications that will be useful to you and that you want to receive. We typically use third party email service providers to send emails. These service providers are contractually prohibited from using your email address for any purpose other than to send Ocean View Hotel related email. We provide you the ability to define and modify your mailing preferences at any time, including unsubscribing from all marketing communications. In addition, every time you receive an email, you will be provided the choice to opt-out of future emails by following the instructions provided in the email. This website is located in California and subject to laws of the United States and the State of California. By using our website, you agree to let us collect and use the information pursuant to the terms of this Policy. In the future, we may need to change this Statement; we will post changes on this page and note the effective date so that you are always aware of what information we collect and how we use it. If we materially change the way we handle personal information collected from you prior to the effective date of the new policy, we will notify you and seek your consent to such changes. Use of our Website signifies your consent, as well as the consent of the company for which you use our Website and whose information you submit (if any), to this Policy. If you do not agree to the terms of this Policy, please discontinue your use immediately.